Design the perfect invitation for any occasion or party! 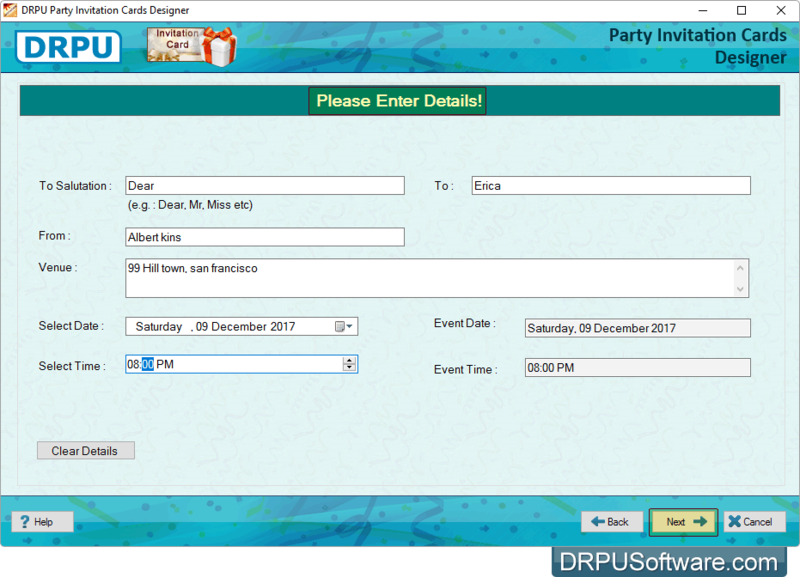 Creating personalized invitation cards is easy with DRPU's freeware Party Invitation Card Designing Tool. Put your celebration, party, grand openings or other special event in the spotlight with one of our free invitation card designer. Free Party Invitation Card Designer designs multiple invitation cards with different images and text value using 'Batch Processing Series' option. Send your designed Party invitation card to single as well as multiple E-mail addresses using Email setting option. Advanced Print settings to print designed party invitation cards with support to all major types of printers. 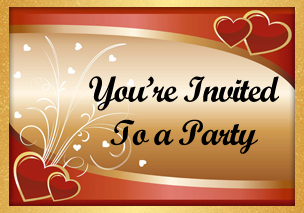 Export designed Party invitation cards in jpeg, png, bmp, pdf and other file formats. Software provides various card designing tools including ClipArt, Text, Line, Shape type and Insert image for designing party invitaion card. 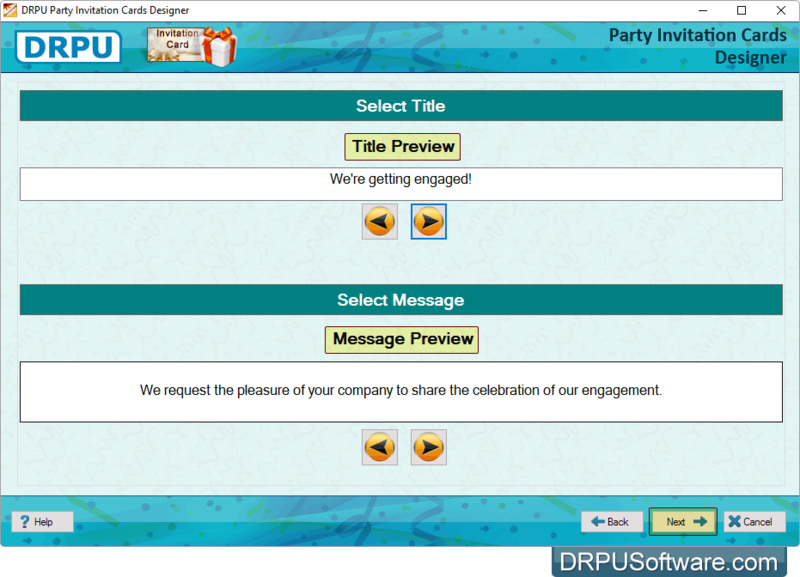 You can easily update your party invitation card details using 'Update Details' button. 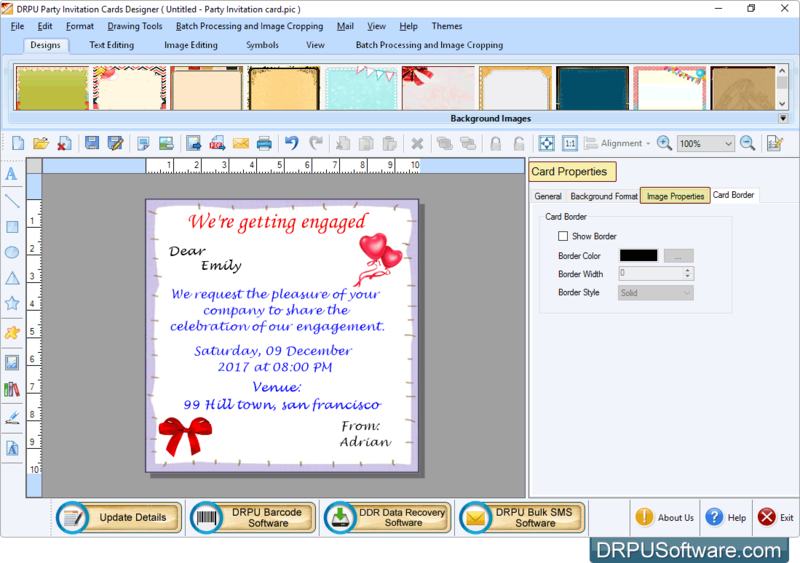 Image Cropping Tool to crop multiple images as per your requirements while designing invitation cards. 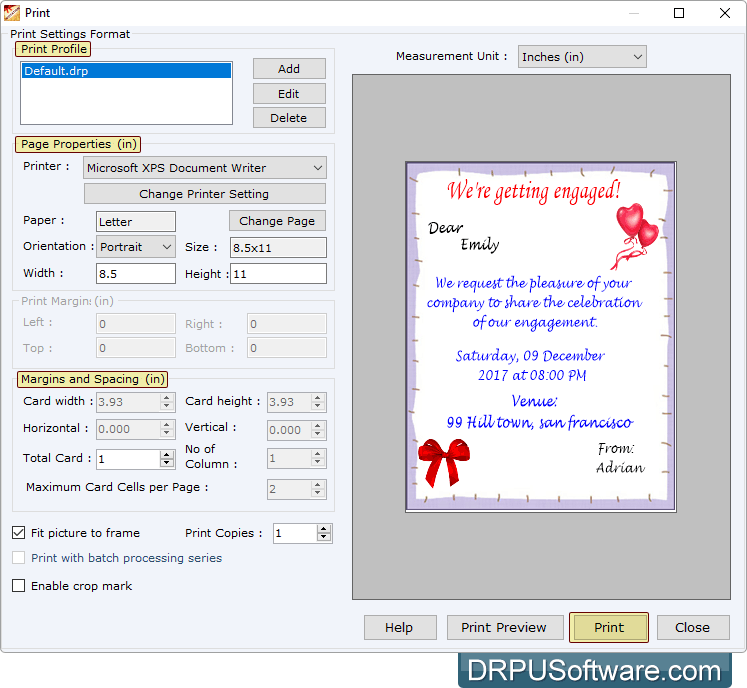 Software provides various card designs for quickly design party invitation cards whether it may be Company party, Marriage party or any other Occasion. 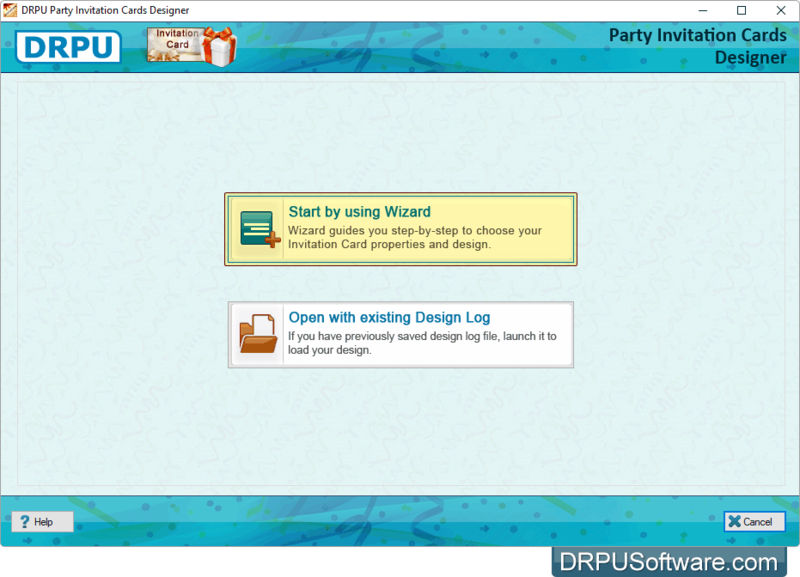 Select either 'Start by using Wizard option' or 'Open with existing Design Log' for designing Party Invitation Card. Choose your Invitation Card design according to your requirement. Select party theme for which you want to design your invitation card. 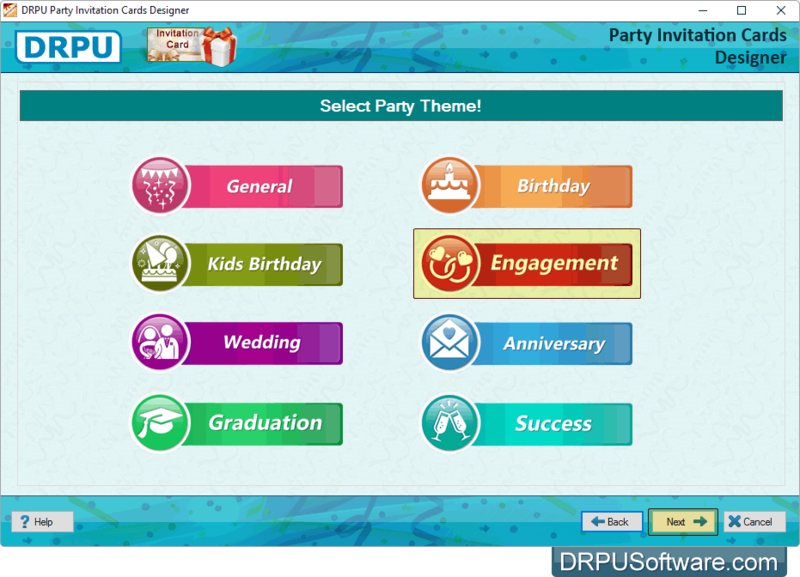 Select Title and Message for your party invitation card. Enter your invitation card details. If you want to make further changes in your invitaion card, then you can go with 'Card Properties' option. 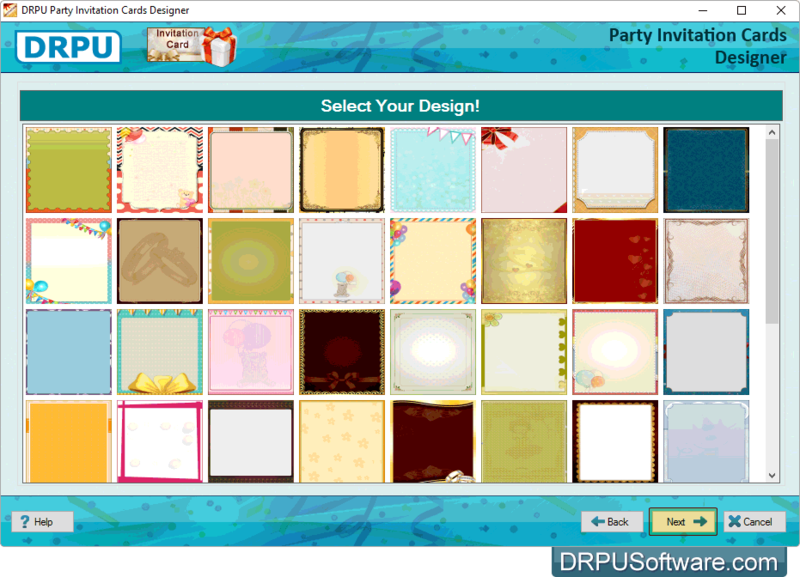 To print your designed party invitation Card, set all print settings and click on 'Print' button.